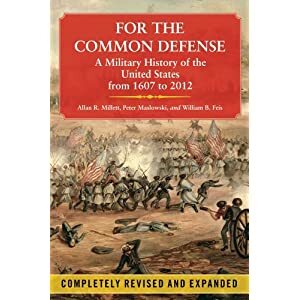 The newly revised and expanded third edition of For the Common Defense: A Military History of the United States from 1607 to 2012 has just been published (Free Press, 714 pp., $28, paper). Originally published in 1984 and revised in 1994, this book presents a general history of U.S. military policy from the very beginnings of European settlement on these shores. The authors are Allan R. Millett, a professor of history and the director of the Eisenhower Center for American Studies at the University of New Orleans, and Peter Maslowski, a history professor at the University of Nebraska, Lincoln. William B. Feis, a history professor at Buena Vista University in Iowa, edited the new edition. The book’s two concise Vietnam War chapters—“In Dubious Battle: Vietnam, 1961-1967” and “The Lost War: Vietnam 1968-1975”—were among those rewritten for the new edition. Both chapters go over the main threads of the war in some detail and offer excellent summaries of the military, political, and geopolitical aspects of the nation’s second longest and most controversial overseas war.